As a pool owner, summer is likely one of your favorite times of year. You get to peel back your pool cover and get ready to soak up some sun and relaxation poolside. 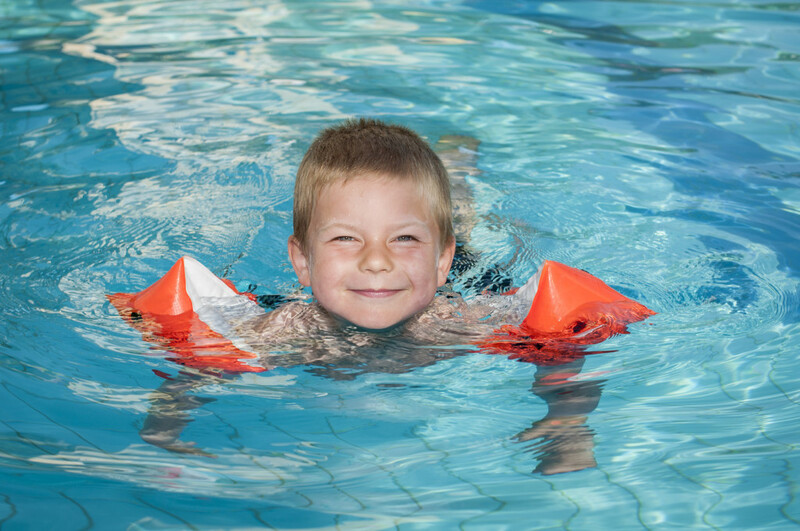 So you can do just that without worry, use these swimming pool safety tips. Swim Supervision: The single best thing you can do to prevent a disaster in your pool is supervise the children playing in it. Even if your children know how to swim, keeping an eye on them ensures you can come to the rescue should they need you. If you are swimming with an infant or toddler, use touch supervision—or never be further than an arm’s length away—and proper flotation devices. CPR Certification: By learning CPR, you gain the skills you need to save a life. Have all of your family members who are old enough take a local CPR course so you can all be equipped with this crucial skill. Pool Perimeter: So that no one accidentally falls into the pool, erect a perimeter fence that is at least four feet high and has a self-closing, self-latching gate. Another great way to alleviate worry and promote relaxation poolside is by reviewing your homeowners insurance to ensure you have enough coverage for your pool. To talk with an expert agent who can help you get the right policy to protect your home and your pool in Westlake Village or the surrounding California area, contact Udell Family Insurance.